We carry gas beyond the pipelines. Depending on the gas source, either a MICROSKID or a MICROBOX is installed. Both of them take low pressure natural gas and compress it until 250 bar pressure is reached, this way, filling the storage MAT modules- which are placed on the PAC loading platforms. Once load is completed, MAT modules are loaded on truck’s VST trailer and then transported to every consumption center. 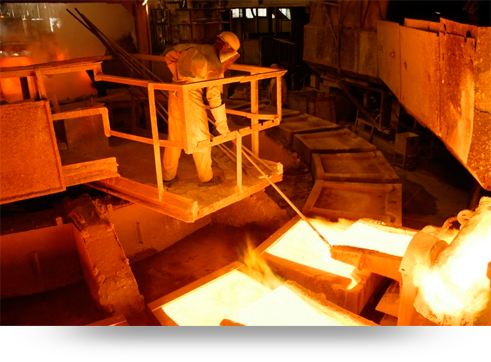 Thanks to Galileo`s SCADA System, the entire compression plant`s operation can be monitored in real time, making the this system easy-to-use. If you wish to know more about our compression plants, please download the following document. • Safety and reliability in MAT modules transport (using interlocking system). 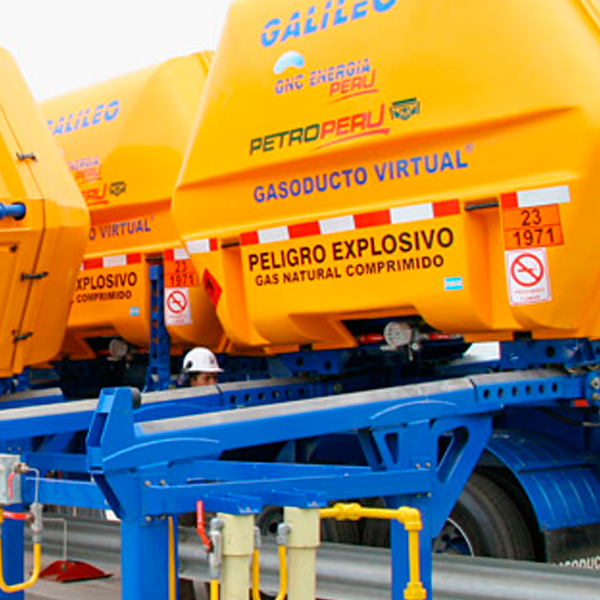 • Easy-to-use and fast loading/unloading modules on grounding platforms. 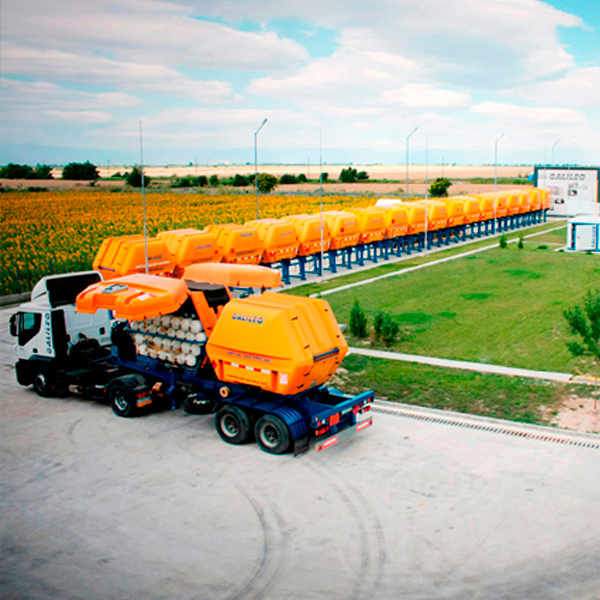 • Flexibility regarding modules` maximum capacity to be transported. • Being able to use in any road. 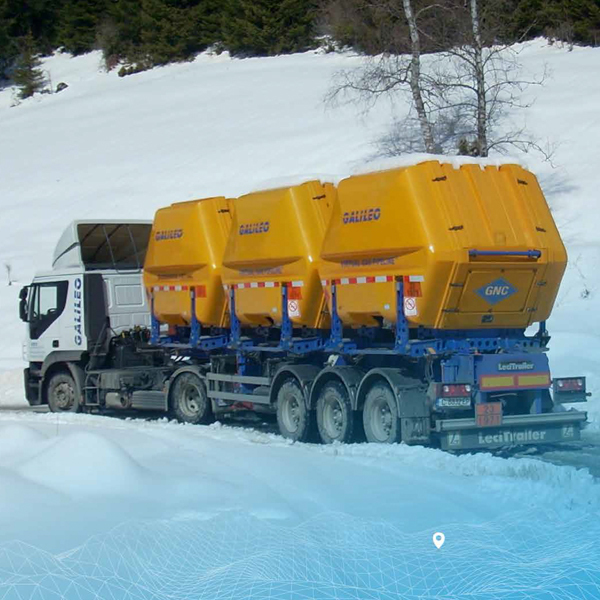 MAT modules` loading/unloading procedure on VST trailers is very simple, it only takes a few minute and can be done by the truck`s driver itself. 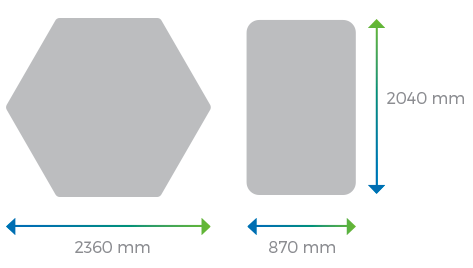 Depending on the application, VST transport systems ® has a capacity for 2, 3 or 4 MAT modules, VST-2, VST-3 and VST-4 respectively, allowing at the same time different configurations according to the demand. For low or moderate consumption applications, Galileo has developed MAT modules that can storage natural gas at pressures of up to 250 bar and at environment temperature. For moderate and high consumption applications, Galileo has developed CryoMAT modules which can storage natural gas at up to 250 bar and at low temperatures of -30ºC. These modules can storage and transport 30% more gas per module, thus reducing the initial inversion and operative costs. If you wish to know more about our transport systems, please download the following document. Virtual Pipeline allows industrial consumers to drastically reduce its operative costs by replacing the fuel used in its natural gas processes – a cleaner and more economic alternative. Either industrial processes or power generation consumptions, where natural gas supply is required at constant pressure, pressure reduction stations are necessary. 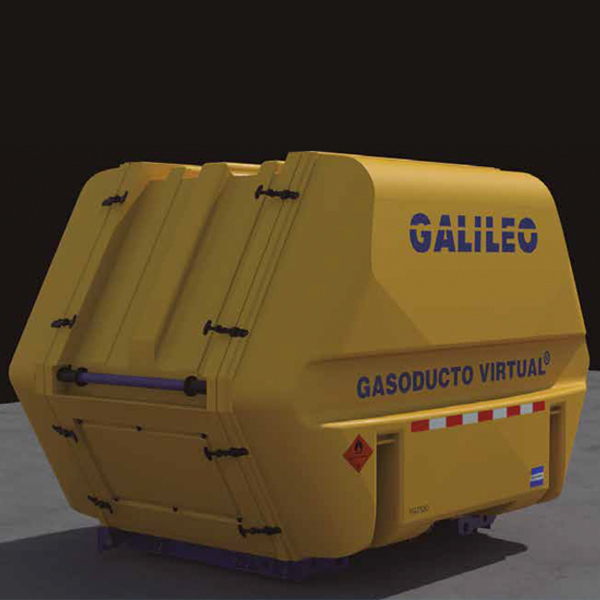 Galileo has developed state-of-the-art Regulating Modular Plants, specifically designed for the Virtual Pipeline System. Remote Regulating Plant consists of PAD Platforms for the unloading of MAT modules, with one or more PRP regulating plans in charge of regulating high pressure of MAT modules until the necessary pressure is reached for the corresponding application. If you wish to know more about our equipments for remote regulating plants, please download the following document. 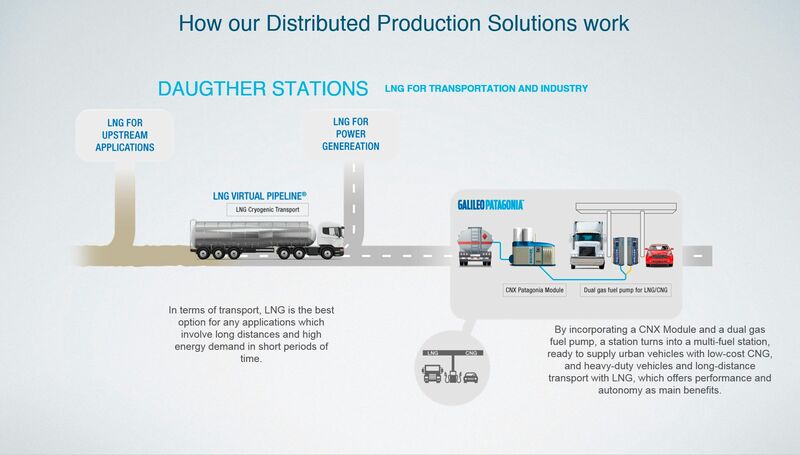 A CNG Remote Station with Virtual Pipeline is the best alternative for those places where there is a need for filling CNG vehicles and conditions are not good enough for a dispenser station to be installed the best alternative is to install a CNG REMOTE STATION WITH VIRTUAL PIPELINE. The Remote CNG Station has PAD Platforms for the unloading of MAT modules which are connected to a discharge BOOSTER compressor and modules` storage management and Dispensers for the filling of vehicles in CNG Vehicle Station.